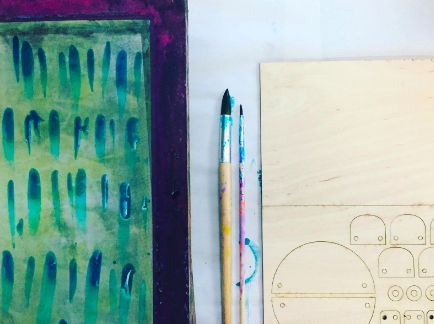 In this workshop, you will screen print your own piece of laser cut ply wood exploring a range of colours textures and patterns. You will also have the opportunity to screen print a mini tote bag in which to carry your completed collection. In addition to a range of basic fastenings and joining techniques, you will learn two basic macramé knots – the vertical larks head and the half square knot with which you will be able to incorporate macramé detailing to your collection. There will be a selection of brightly coloured paracord ropes to choose from and all necklaces will be finished with a laser cut WONDERHAUS fastener.